Fiat Chrysler Automobiles has launched its latest and least expensive SUV in India, the Jeep Compass. It comes in a total of three variants – Sport, Longitude and Limited, and will be available in both petrol and diesel engine options. Price starting at Rs. 14.95 lakh for the entry-level Sport petrol and goes up to Rs. 20.65 lakh (ex-showroom) for the range-topping diesel. 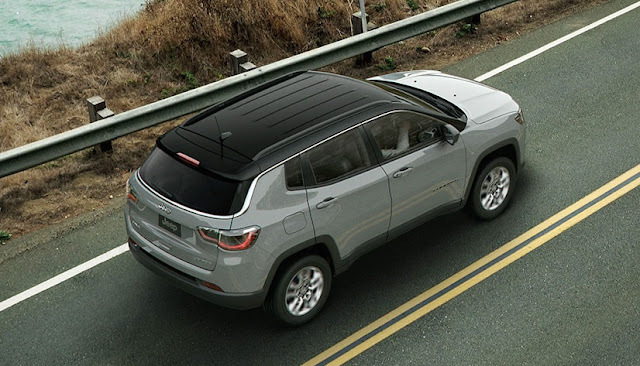 The Jeep Compass SUV shares the design from company’s premium offering the Grand Cherokee. The exterior features the trademark Jeep grille, accentuated wheel arches and the LED treatment. As far as the lights are concerned, the front houses LED headlamps, while the rear comes with LED tail lights. The SUV will be available in five color options, Minimal Grey, Exotica Red, Hydro Blue, Vocal White and Hip Hop Black. 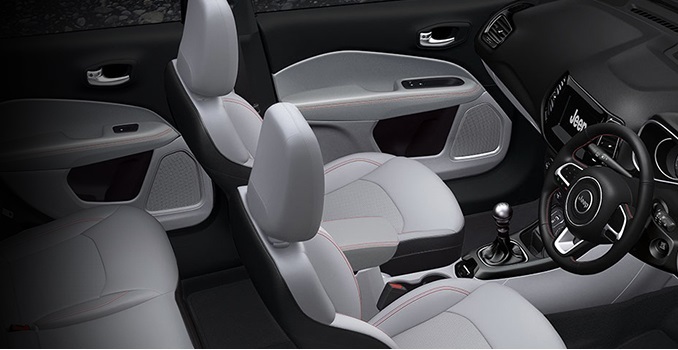 The interior is equipped with white leather that covers the seats and extends to the door as well. The dashboard offers minimal design and at the center holds a touchscreen infotainment system with Apple CarPlay and Android Auto. Other features include height adjustable driver’s seat, electronic parking assist, and frequency sensing damping technology among others. The petrol version of Jeep Compass SUV is driven by a new 1.4-litre Multi-Air Turbo engine that produces 160 bhp of power and 250 Nm of peak torque, paired to a 6-speed manual and a 7-speed DCT automatic. While the diesel variant gets the power from the 2-litre Multijet oil burner tuned for 170 bhp and 350 Nm of peak torque. 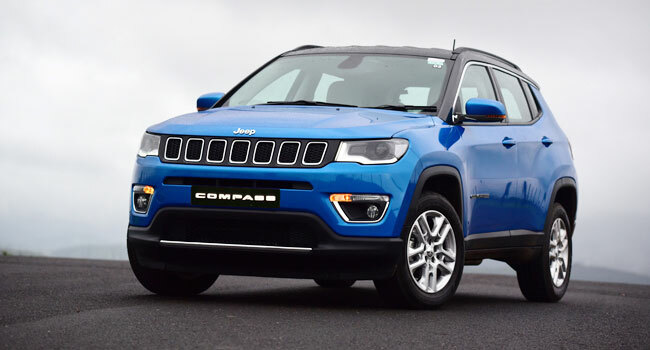 Regarding the competitive pricing, Kevin Flynn, MD, FCA India, said, that “Many thought that the price of the Wrangler and the Grand Cherokee had missed that maybe true, but we have thought long and hard about the pricing of the Compass SUV and we think we’ve got it right.” Til now the Jeep Compass SUV has received 5000 bookings.